Is there a series more stubbornly console-bound than Final Fantasy? Thankfully, developing MMOs forced Squeenix’s hand and we got the exquisite Final Fantasy XIV: A Realm Reborn on PC – plus a welcome redo of Final Fantasy VII on Steam, though it took a while to reach its full, musical potential. Rather than sating our appetites for pointy hats and po-faced walking haircuts, however, these games have only served to bounce noisily about our otherwise empty stomachs. Across oceans, thankfully, the high-ups at Squeenix have heard our clamour. 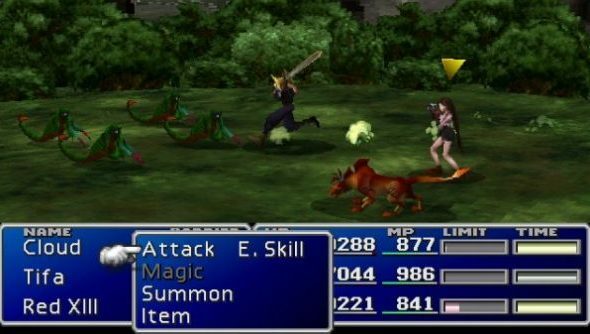 Final Fantasy producer Yoshinori Kitasetold Eurogamerthat Final Fantasy VII’s Steam re-release had been successful – and had likely opened the door for more launches on the platform in the future:. He went on to point out that all three Final Fantasy 13 games began development on PC – though none were released that way. So which games are we going to get? Square Enix announced a Final Fantasy 15 for Xbox One and PS4 in the summer – and the three Final Fantasy 13s of varying qualities seem likely candidates. Or perhaps there’s an older iteration you’d like to see haytch-deed?